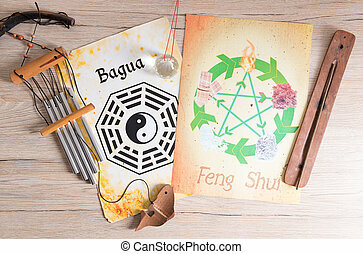 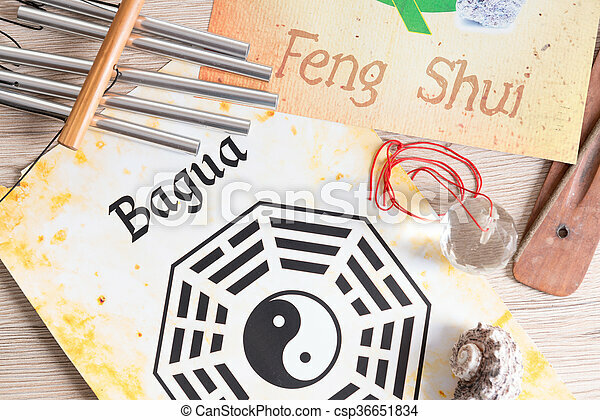 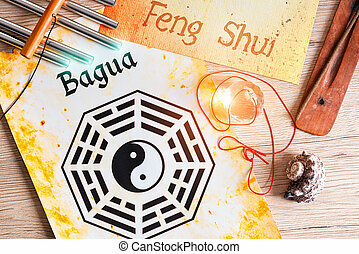 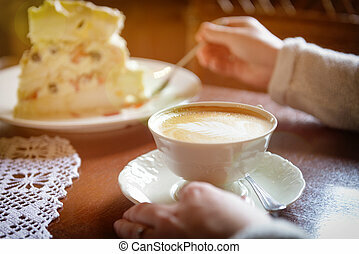 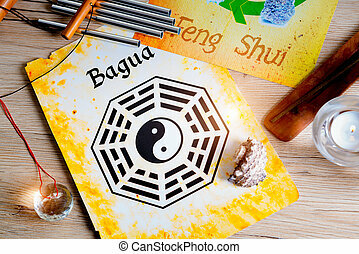 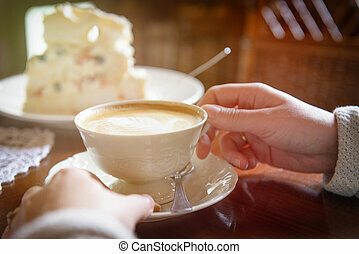 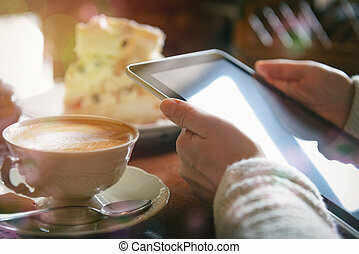 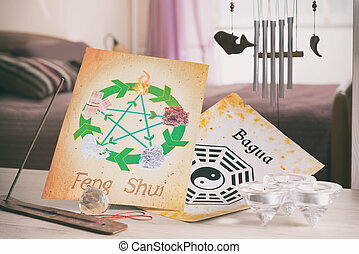 Concept image of feng shui. 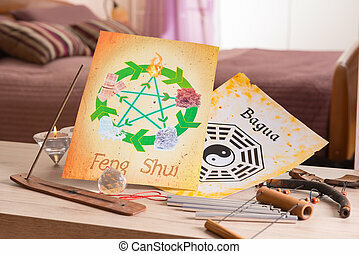 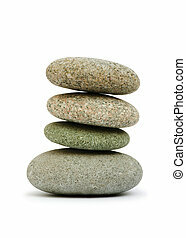 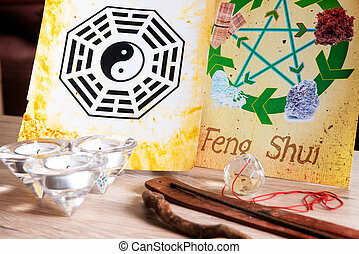 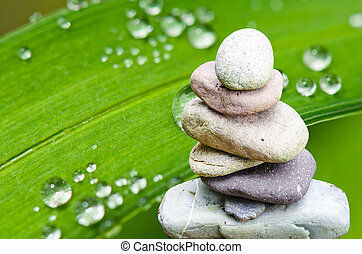 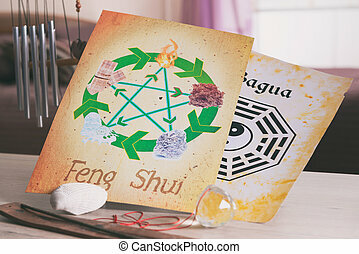 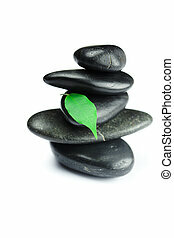 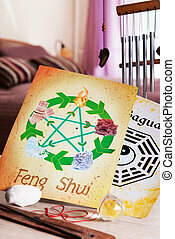 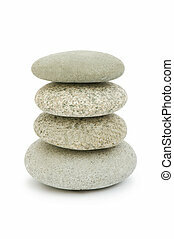 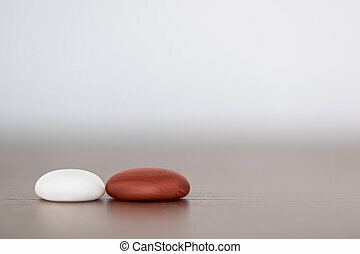 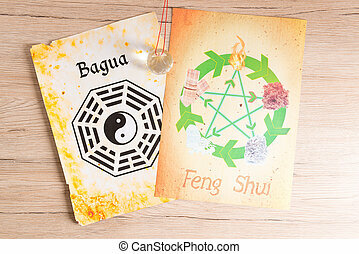 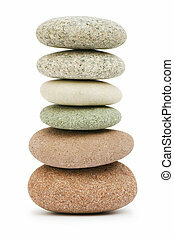 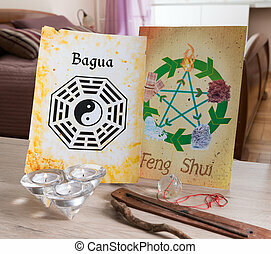 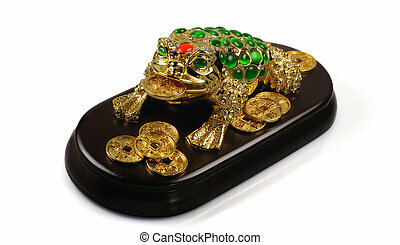 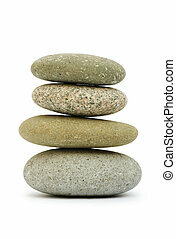 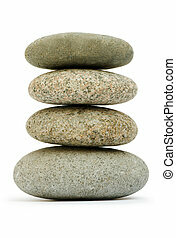 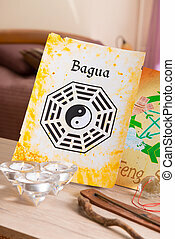 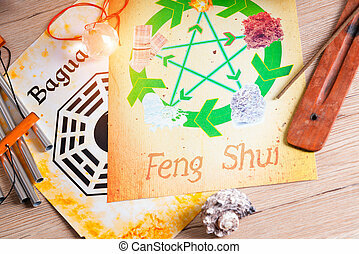 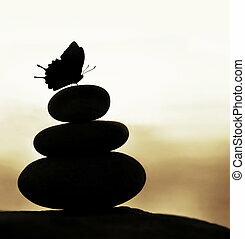 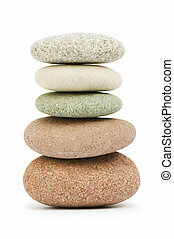 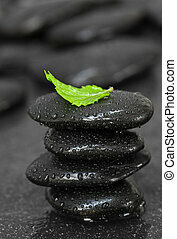 Conceptual image of feng shui with five elements. 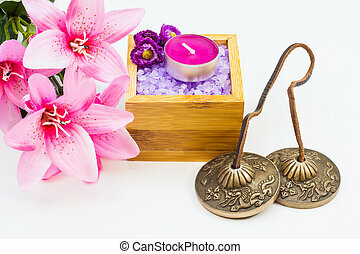 Studio shot tibetan cymbals and some alternative therapy elements. 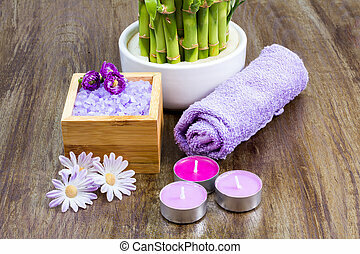 Studio shot of some spa products for therapy, on wood background.